White kitchens have been en vogue the past few years, but now we’re seeing a swing in the other direction. 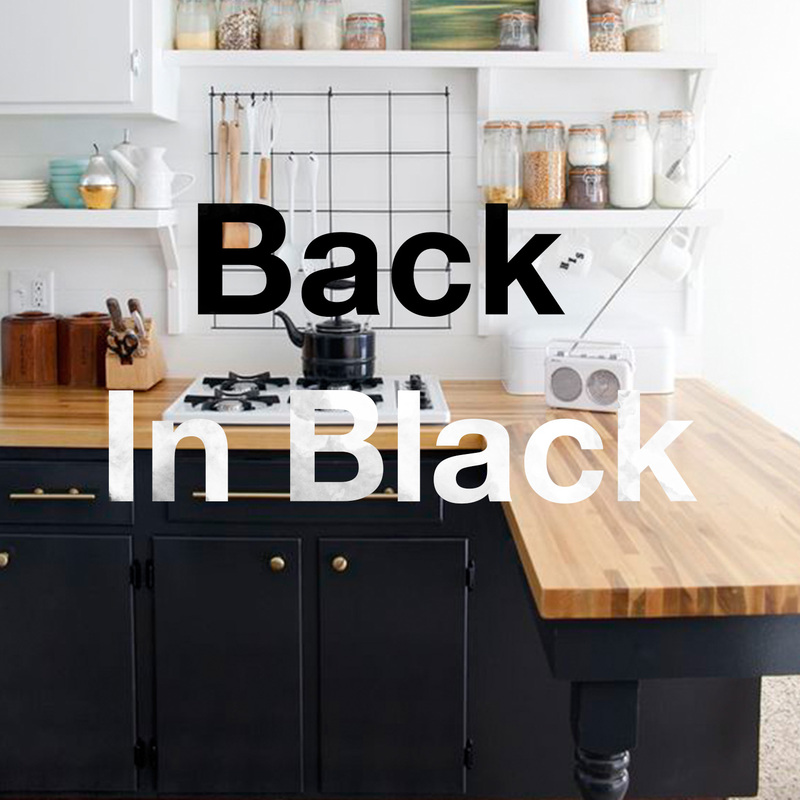 Black is emerging as a true contender in the world of kitchen decor. Dark appliances, countertops, cabinets, and walls create a cozy and inviting space. You can go monochrome for a hyper-modern look, or add accents for a subtler effect. These kitchens use black to ground the bright space. The color feels sleek in glossy finishes with natural accents. 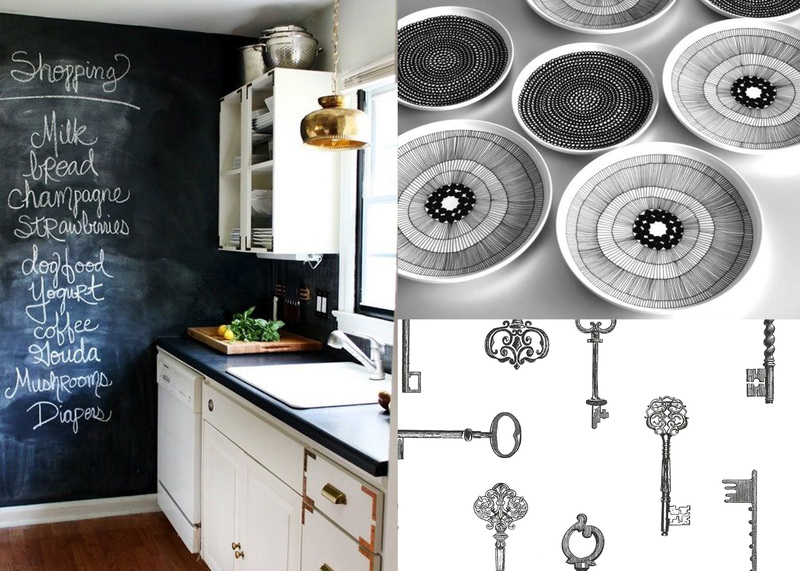 The mixture of modern hardware and antique accessories creates a contemporary appeal. 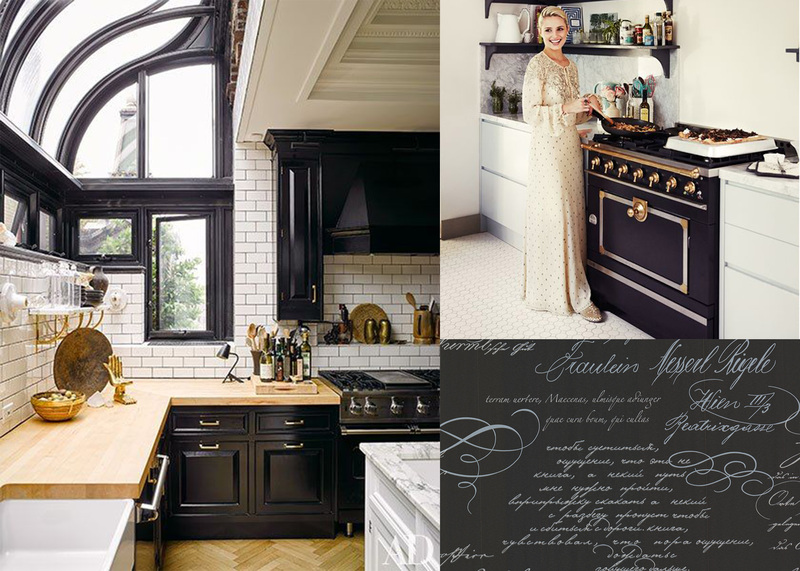 These kitchens have a whimsical take on the black trend. Chalk walls can be customized with favorite quotes, reminders, or used a child’s art canvas. Graphic plates and key wallpaper have an artistic, hand drawn look that embraces creativity. 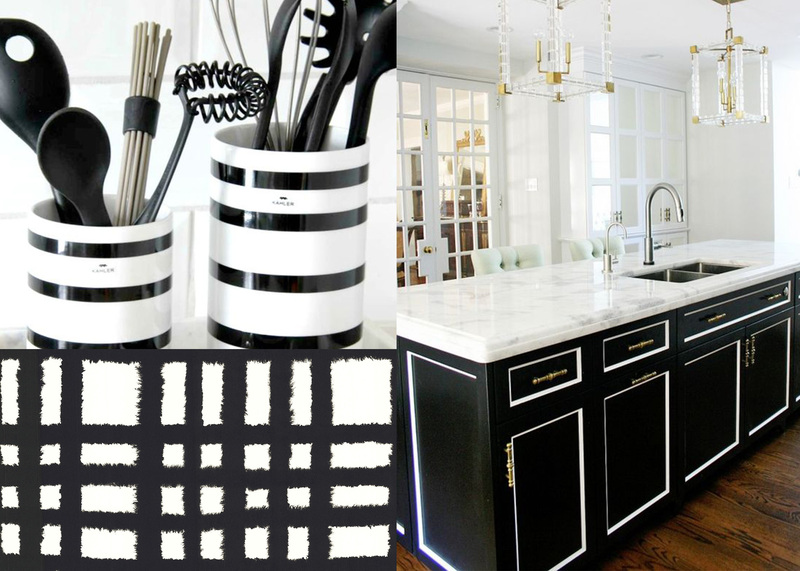 The clean lines and bold contrast make black the perfect addition to a preppy kitchen. The mixture of colors brings out the detailing in the moulding of these kitchen cabinets. For a variation on the crisp stripe look, try a softer style like this watercolor plaid wallpaper. 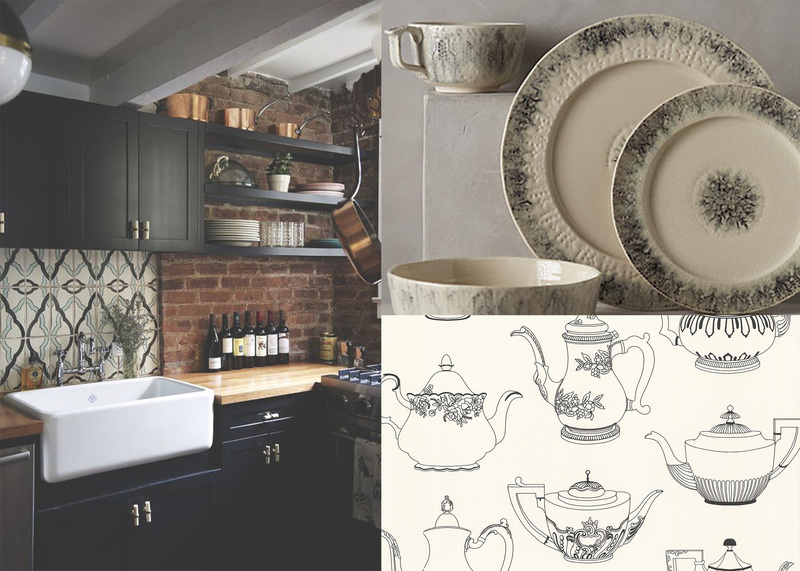 Contemporary country style is about embracing the past and the present. A combination of eras gives country style an aged look that celebrates the passing of time. The modern, sleek cabinets work in harmony with the farm sink and exposed brick. Classic motifs are updated in new styles and finishes.